ONE OWNER LOCAL TRADE-IN, NON SMOKER WITH A CLEAN CARFAX AND NEW TIRES TOO! 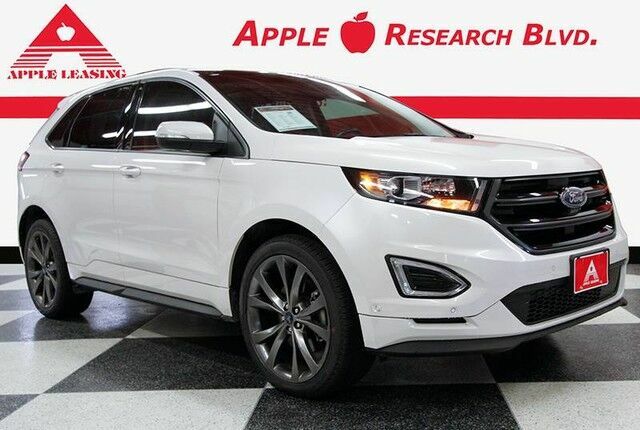 LOADED FORD EDGE SPORT GIVES YOU ALL WHEEL DRIVE PERFORMANCE AND TONS OF LUXURY FEATURES LIKE PANORAMA ROOF, NAVIGATION, BLIND SPOT MONITORS, BACK UP CAMERA, LEATHER INTERIOR WITH HEATED SEATS! STOP BY OUR RESEARCH BLVD SALES CENTER AND EXPERIENCE HASSLE FREE CAR SHOPPING AT IT'S BEST!